Here we are again – a new tutorial is in progress. 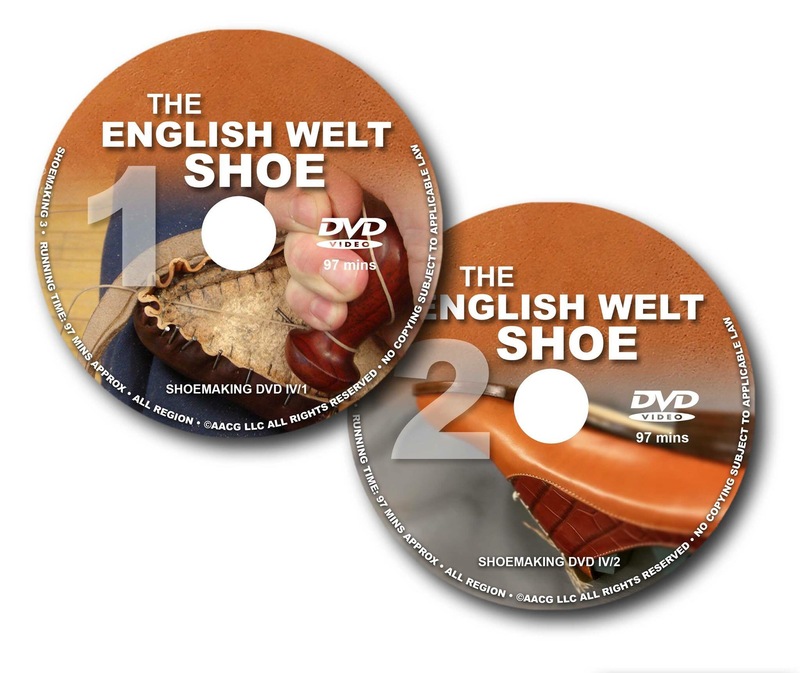 These 2 DVDs will guide you through the process if the English welt process from the very first steps of the insole making to the the final touches. Now it is available as pre-order with a huge discount: only 60 usd for both DVDs. You can also choose – first time – a downloadable version. how do I order dvd? When will this be available? I will like to purchase it. Thanks. September. You can pre-order it. Hello! How can I order the downloadanle version? I would like to pre-order the hard copy DVDs. Does your video include making threads, tapering, and attaching bristles? That was one of the hard skills for me. I never quite got it.